Sexual harassment is a growing problem in Egypt, especially in Cairo. Through a series of interviews and social experiments, The People’s Girls takes a closer look at who is to blame, as well as how women are fighting back. Currently based in Chicago, Colette Ghunim’s purpose lies at the cross section of social impact and visual storytelling. 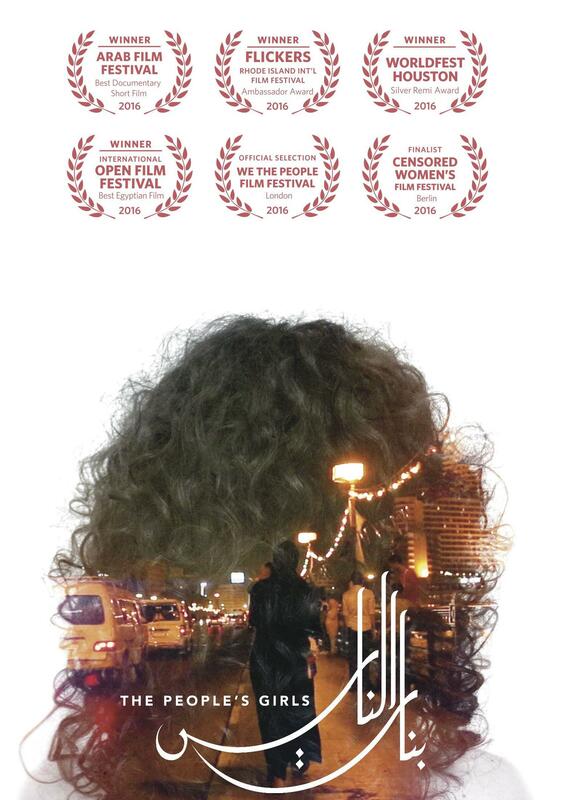 Colette Ghunim co-directed The People’s Girls, an award-winning documentary investigating the issue of sexual harassment in Cairo, Egypt. Her film was selected in several festivals, and it won Best Short Documentary at the Arab Film Festival in San Francisco, as well as the Humanitarian Award at the Rhode Island International Film Festival, an Oscar-qualifier. Colette Ghunim has been featured in Huffington Post Live, Buzzfeed, CNN, TEDx, and other major international news channel for her work. Tinne Van Loon is a Belgian American documentary photographer and filmmaker. She works on social issues concerning Middle Eastern communities, with a special focus on women's issues. Her work provides a greater context to the headlines, finding the everyday impact of political and social conflicts. She is also the founder of Everyday Egypt, a collective of 20 photographers showing images of everyday life in Egypt to over 400,000 followers on social media platforms. The People's Girls is her first documentary film.